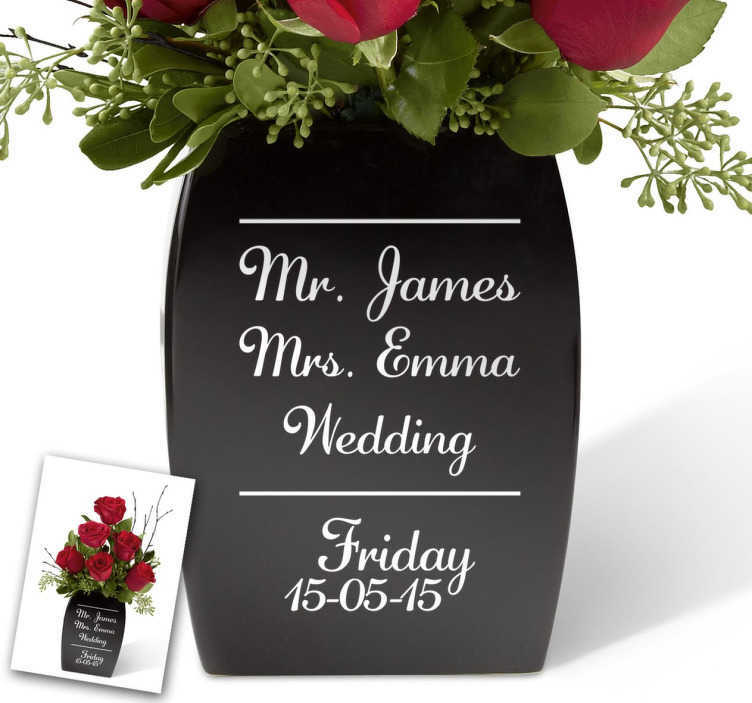 Make your special day even more personal with this customisable flower vase sticker! This vinyl can be applied to surfaces outdoor and indoor! Complete with the names of the happy couple as well as the special date in an elegant and romantic font, this sticker makes for the ideal gift, too!